Details, details, details. And why they’re so important? Imagine a living room with only furniture – just a couch, a coffee table, some easy chairs and end tables. That’s all. No rug on the floor, no pictures on the walls, no photographs on the tables, no plants near the window. No candles, knickknacks or floral arrangements to be seen. Not even a magazine on the coffee table. If you walked into such a room, your immediate impression would be, “Something’s missing!” And you’d be right. In fact, a lot of “things” are missing, things that transform a functional room into a beautiful, comfortable and pleasant home. What’s missing, of course, are the decorative details – the accent objects people add to give a room interest, appeal and individuality. And what’s true for interior decoration is also true for exterior design – it’s the details, the added accents, that distinguish a home from those around it. 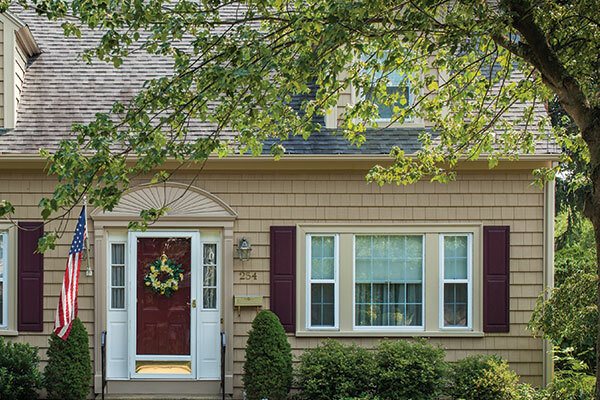 Liberty’s Premium Vinyl Siding adds beauty, protection and value to a home. But it’s the details – the use of decorative trim and accessories – that add the lasting distinction. So how do you add distinction? All it takes is a little creativity. 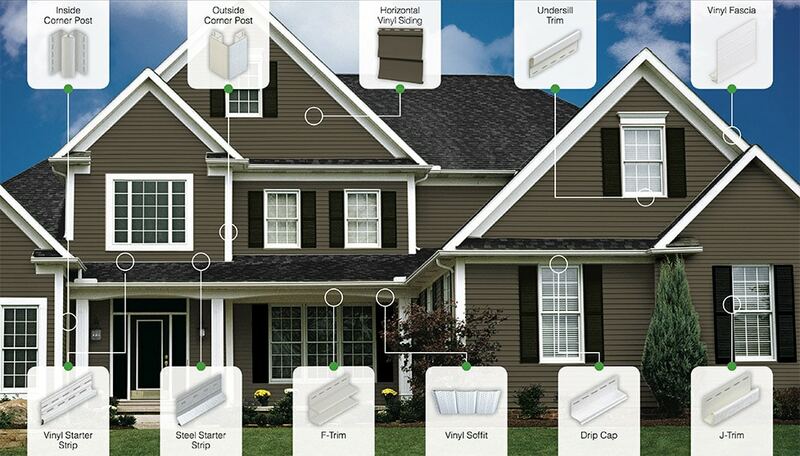 First, know your exterior design options. This page will help with that. Below, you’ll see idea after idea for using trim and accessories. The photographs are organized like a decorator’s scrapbook. 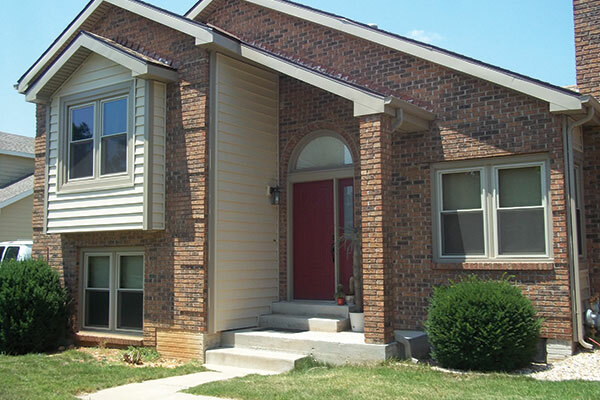 Each section focuses on a specific exterior design feature – doors and windows, for example.  Along with the photos are brief captions that highlight key design elements, plus list the products used. Second, imagine how you can change the look of your home by using one or more of the ideas shown. Use an idea exactly as you see it. 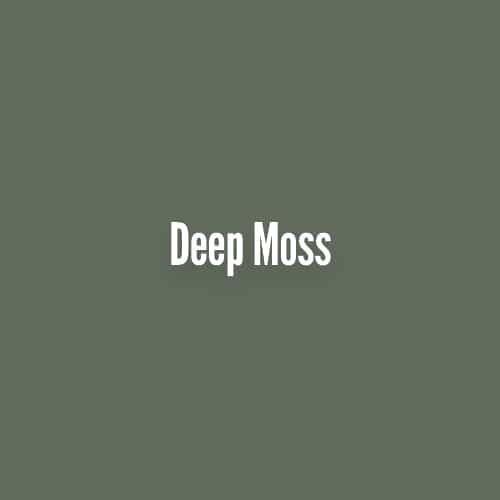 Or combine several ideas to create an exterior detail that’s distinctly you. And don’t worry – you can do it. The details that brighten your living room are all the proof you need. Moldings and Mantels provide long-lasting accents for windows and doors. 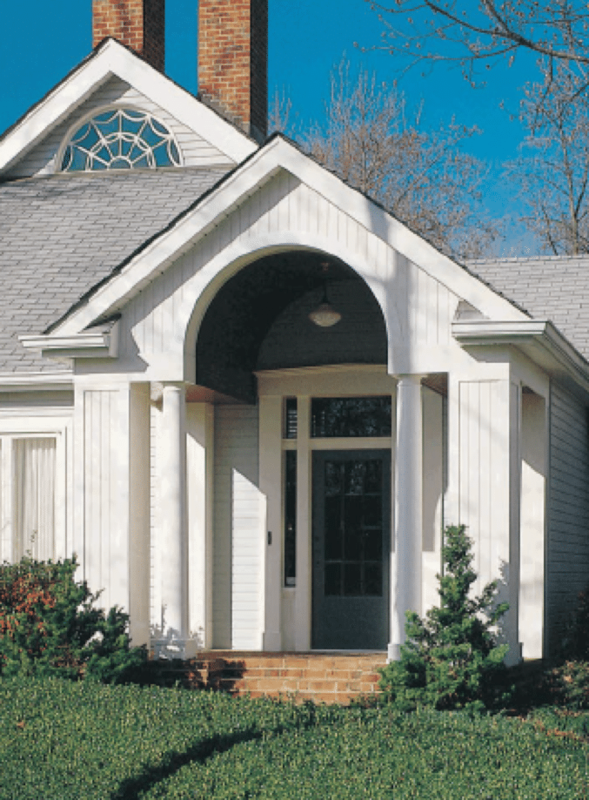 Available in Classic style with optional keystones and decorative Dentil Trim styles. 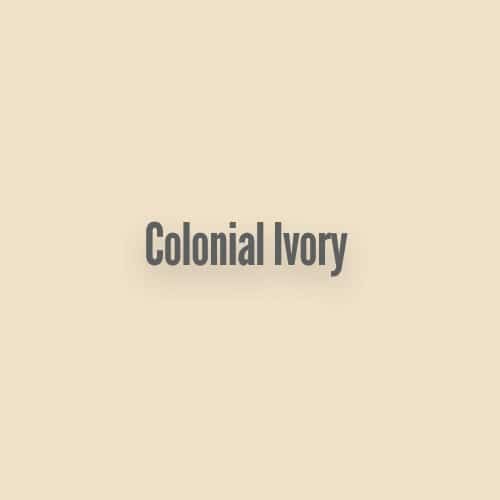 All are available in white and are paintable. 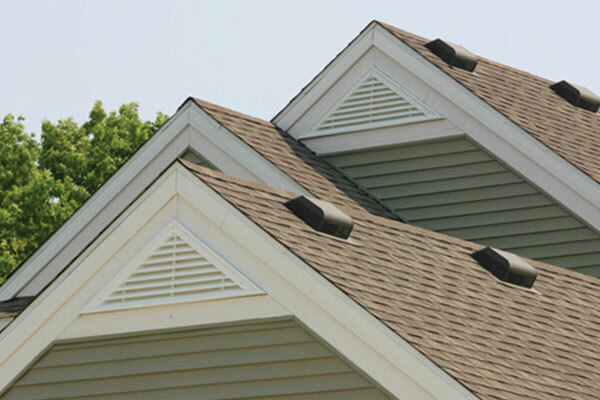 Gable Vents allow the free flow of air required to properly ventilate your home. A wide array of profiles features a one-piece hinged ring for fast installation and scrolled, embossed details for a distinctive appearance. Shutter Collection features the natural look of textured wood with colors that go clear through. 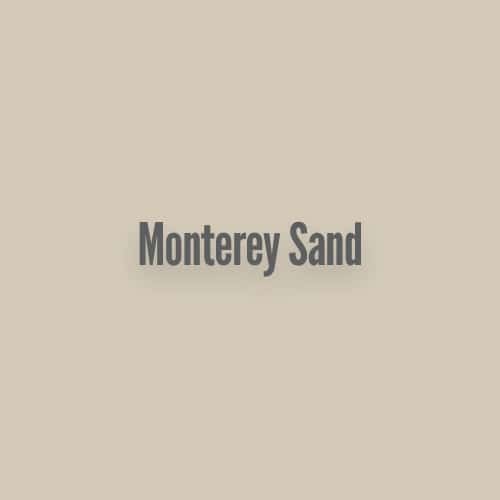 They are available in a variety of styles and sizes to complement the scale and architecture of your home. 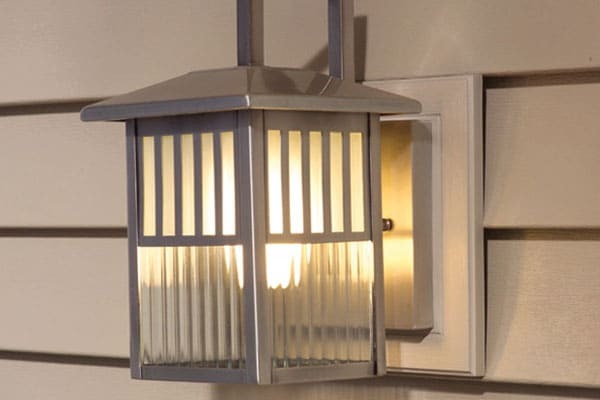 Mounting Blocks can be used for light fixtures, mailboxes, doorbells, exhaust vents, fans and more. They feature a one-piece hinged ring design with a scrolled, rounded edge frame. 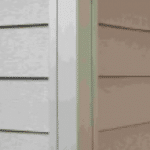 When choosing colors for decorative trim, the best place to start is with your primary siding color. 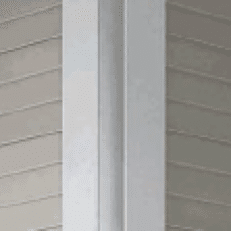 Do you want siding and trim to match (or nearly so)? 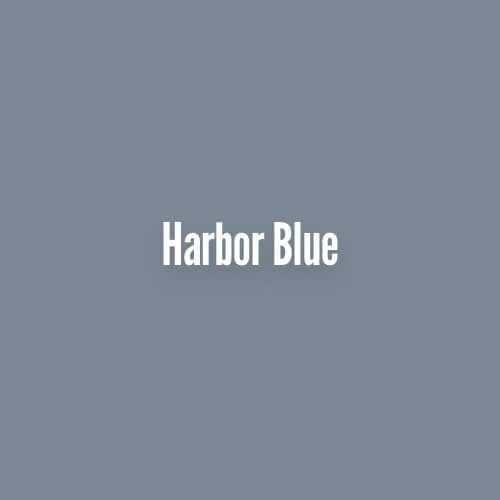 That’s called a monochromatic color scheme, and it’s a great way to create an impression of harmony and unity. Or do you want to create a contrast, either a subtle contrast or a bold one? Using contrasting colors is an excellent way to emphasize details and framework. With your answer in mind, use the chart to choose a low-gloss, easy-care color for your trim options. When selecting details, keep proportions in balance. The impact of this massive window area, for example, is augmented by the bold lines of the 5″ Liberty Trimworks lineals used to frame it. Using a contrasting color for the window trim accentuates the boldness of the frame. Look for ways to unify a design using similar elements. 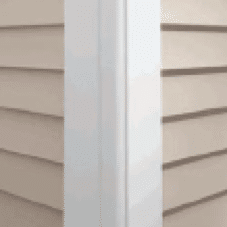 Here, the bold vertical lines created by Liberty Trimworks 3 1/2 ” lineals complement the distinctive lines created by our shake vinyl siding. Liberty Trimworks custom crown molding can add an elegant decorative detail to a home’s original window trim. The detail that adds a finishing touch. 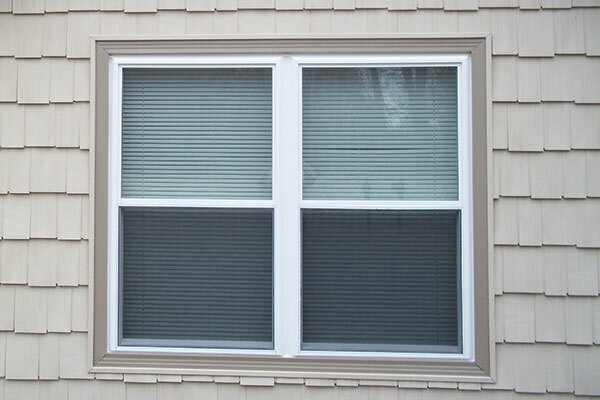 One of the first things people notice about a home’s exterior are the windows. In a sense, windows are like pictures or photographs on a wall – they create specific points of interest within an otherwise massive surface. 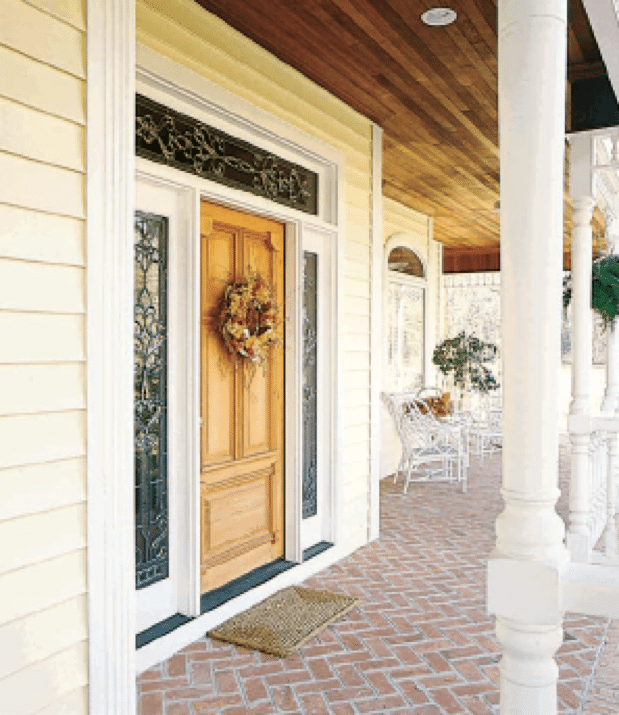 These points of interest – the accents – are the basic building blocks of an exterior design. 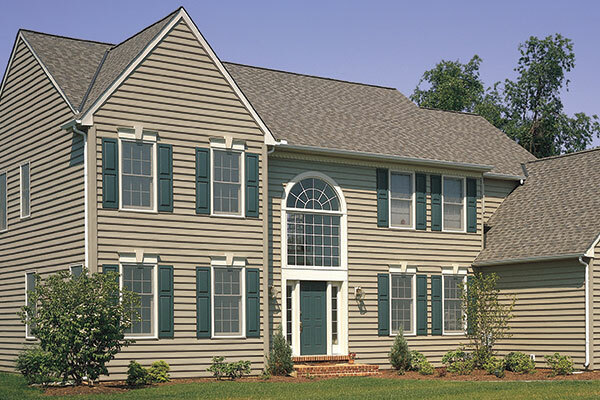 When the choice of window trim complements your siding, the result is a pleasing, unified exterior design. 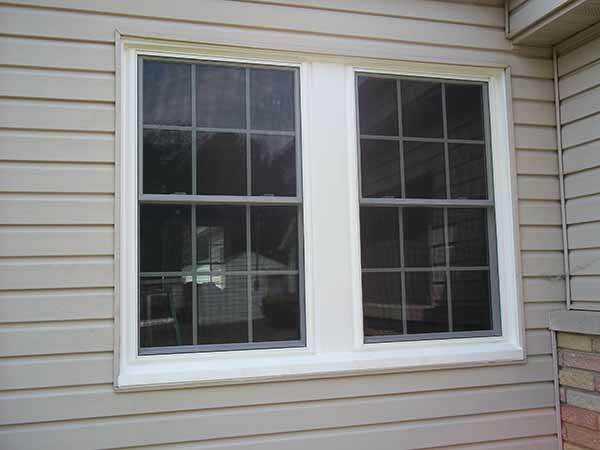 Please scroll over or click the pictures below to learn more about Liberty’s window trim options. 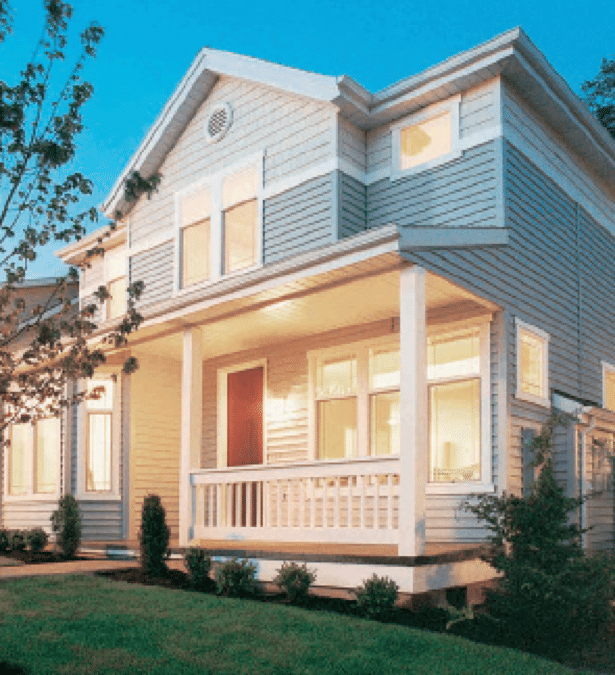 If your home has distinctive details, don’t change them – restore them. 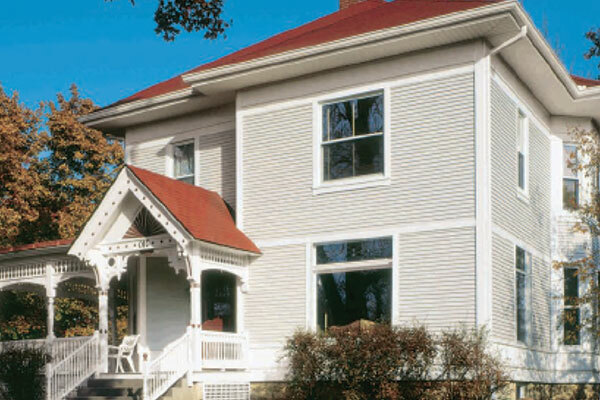 The original window trim details on this 120-year-old farmhouse are reproduced using 5″ lineals for the top of the frame, 3 1/2″ lineals at the sides, and trim for the sill. 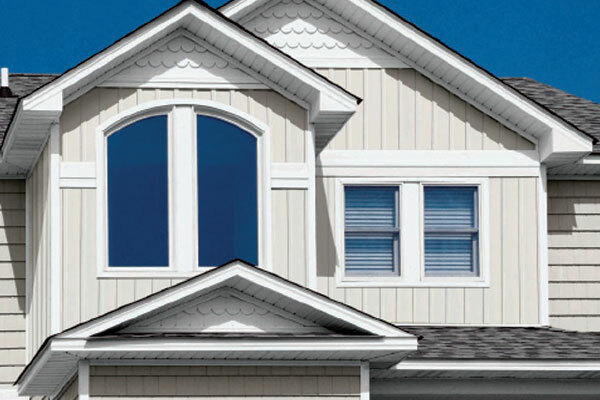 Liberty's bay/bow window trim are combined to create a distinctive window frame. Add distinction using classic architectural details. 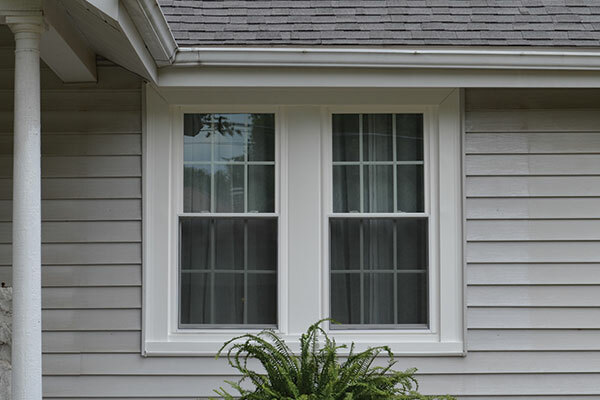 Our conventional mitered joints at the corners, the head and sill of this window frame meet at the sides, a detail typically found in most homes in the Ozarks. Visitors see the trim around doors frequently and up close. 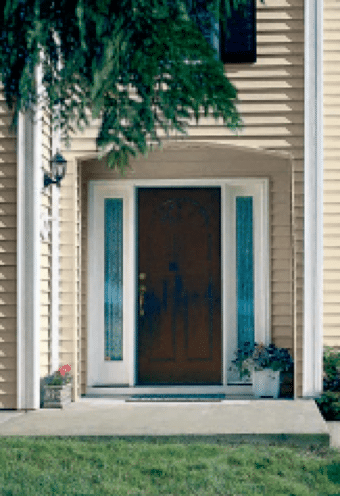 That makes door trim one of the most important exterior design decisions you can make. And, in most cases, it’s more than a single decision. 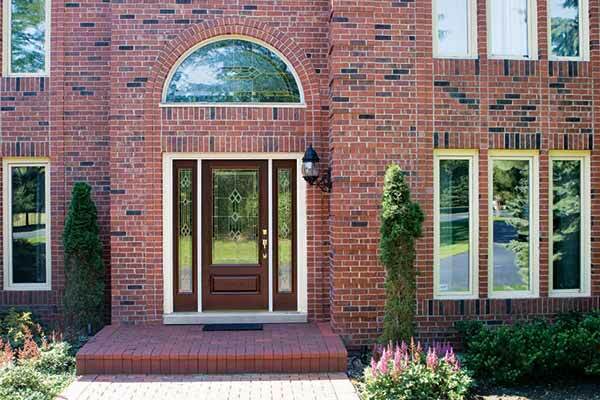 You may, for example, choose a more impressive trim to set off a main entrance, but prefer less dramatic treatments for secondary entrances. 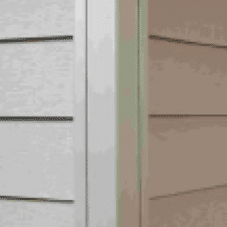 Consider different ideas for the trim around garage doors too. 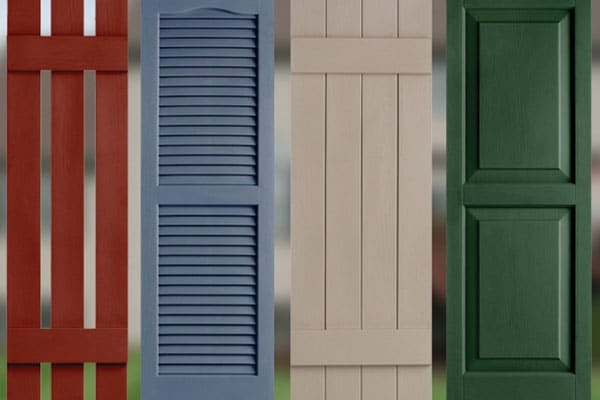 If you have a “premium” door – for instance, a door with raised panels or with decorative window inserts – you may want to consider a bold trim installation to “frame” the accents and maintain appropriate visual balance. 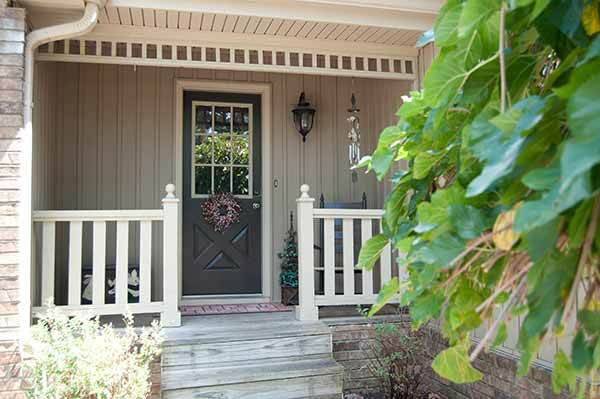 Finally, don’t forget trim for entry ways – the wall and ceiling areas that lead to your doors. 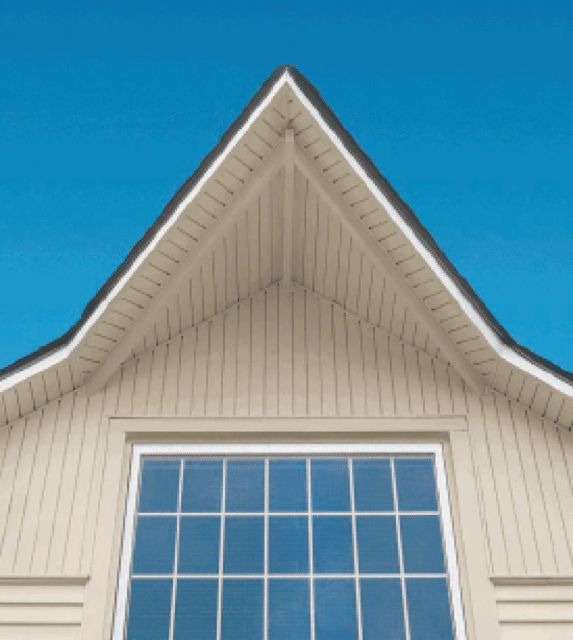 The use of vertical siding, beaded soffit and accessories such as crown molding can give your home a custom designed look. The beauty of this decorative door is magnified by a frame made using 5" fluted lineals. 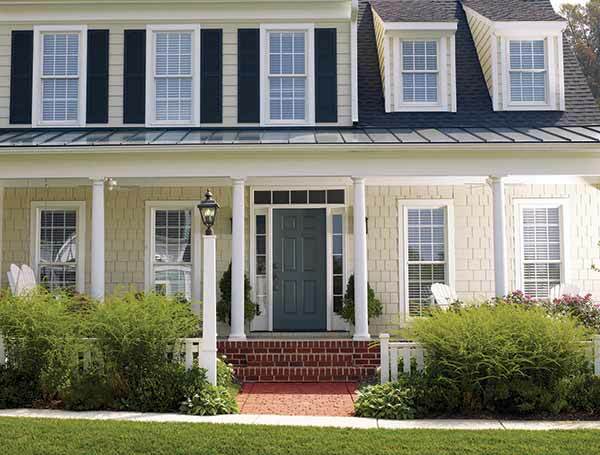 We will help showcase the perfect door and entryway trim to truly bring to life your home's natural beauty. the porch frieze). A corner post using 5" fluted lineals, with the beaded corner starter completes the design scheme. 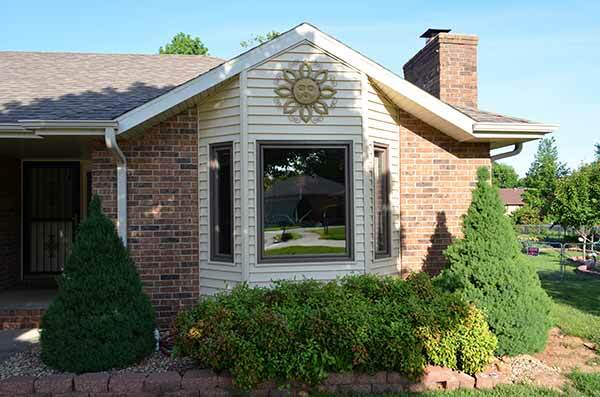 In this example we have choose to match the door trim with the window trim to add a depth and unique style to this all brick home. If possible, try a double contrast. Here again, vertical soffit creates a contrast with the vertical siding on the home. The color contrast adds to the appeal. Go for grandeur when you can. This elegant front entrance is set off with Liberty Trimworks 5" fluted lineals used as a main frame and Liberty Trimworks 31/2" lineals used to frame the side and transom lights. The main entrance to this home is defined by stately columns created using Liberty Trimworks fluted corner posts. 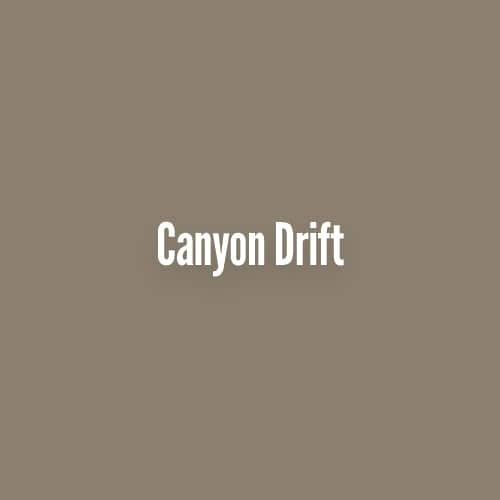 Use contrast to create interest. Horizontal lines formed by dutch lap siding dominate the main walls of this home. But at the arch and columns that form the entry way, vertical soffit creates a distinctive contrast that seems to guide visitors. 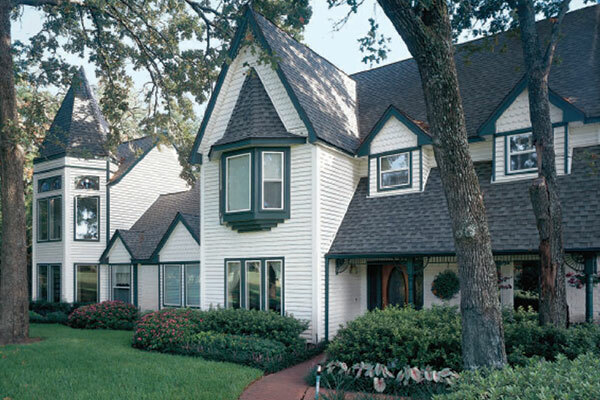 Corners – especially outside corners – help define the proportions of a home. And because they define proportions, the creative use of corner treatments can influence the “apparent size” of your home (the visual impression it creates as opposed to its actual measurements). Bold corner treatments, for example, add lines of vertical emphasis to a wall, encouraging a viewer’s eyes to look up. It’s an excellent way to create a sense of height. Similarly, narrow corner treatments tend to accentuate a wall’s horizontal lines. Color contrasts let you create subtle but striking details. 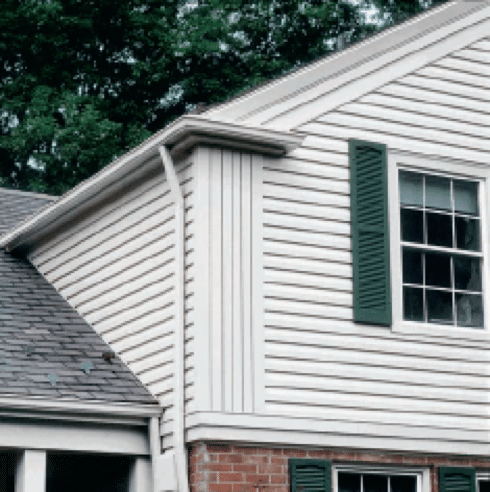 White windows create contrast with the darker tones of the siding. Corners and window trim in a medium tone create another contrast. The overall impression is one of both contrast and harmony. Traditional corner post with foam insert. One-piece beaded corner post with foam insert. 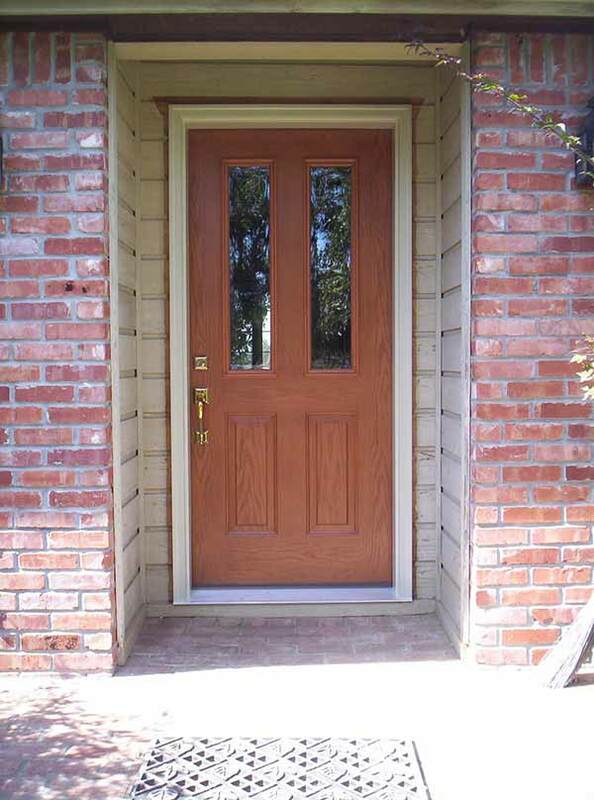 7" fluted corner post with foam insert helps balance the color and allows the entry door and window to standout with 5" smooth lineals. Take cues from existing features. A standard 3" corner post and narrow shutter help create a pleasing sense of proportion in the tight area between window and building corner. vertical lines help create an impression of soaring height. Vertical columns anchor the second story of this home. 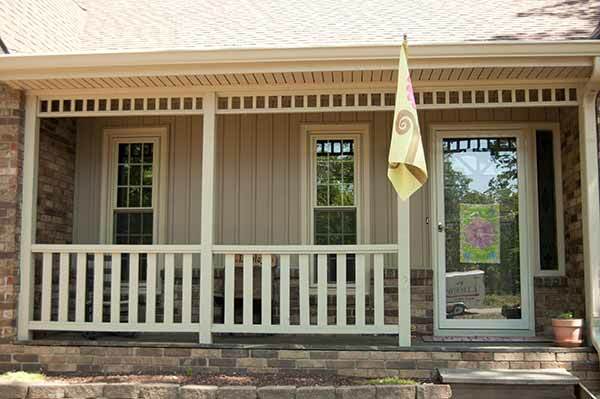 They’re created using standard 4" corner posts and Liberty vinyl soffit installed vertically. A fascia board and an overlapped pair of lineals, installed to create a shadow line, carry the width of the column up the gable. A double width band board at the base of the column ties the treatment together. In this home we have taken vinyl columns to support the second story and recreate the natural farm-house look of this home. An Easy, Yet Striking Change to Your Home’s Look! 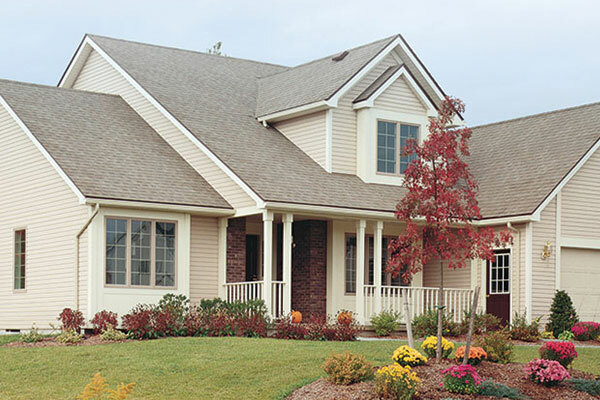 Here’s an easy way to change the look of your home – use different siding styles to define specific wall areas. 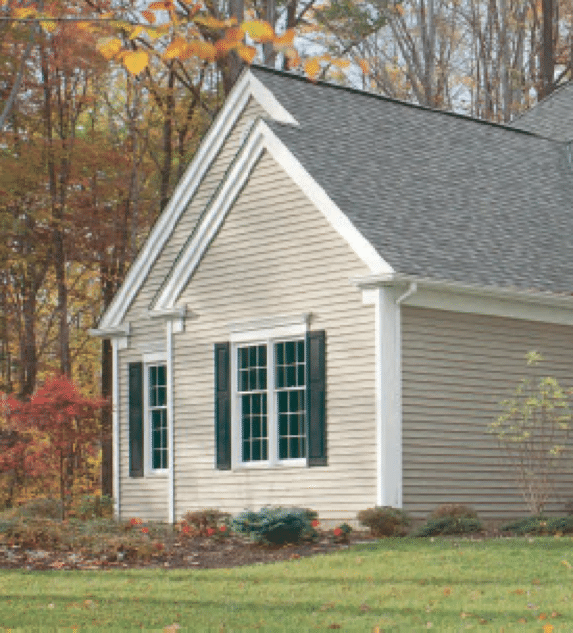 Ornamental shake and scallop siding are often used to add distinction on gable ends and dormer walls. 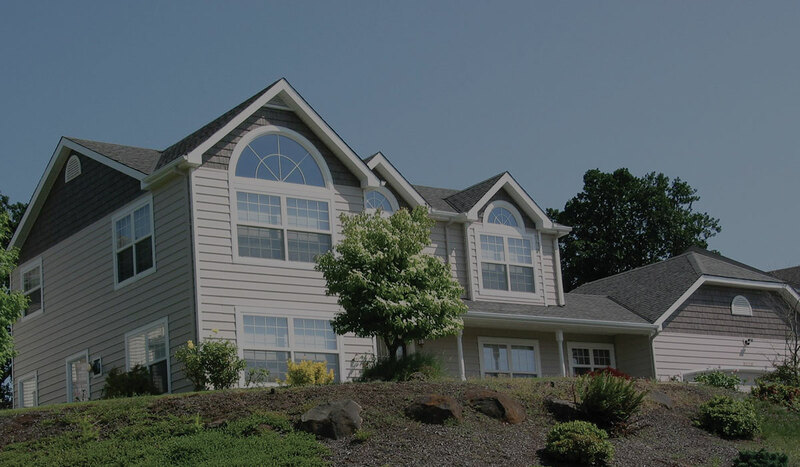 Liberty Home Solutions offers two choices – Liberty Shingle Vinyl Siding and Liberty Shakes and Scallops Vinyl Siding, and both color matched to our siding colors. 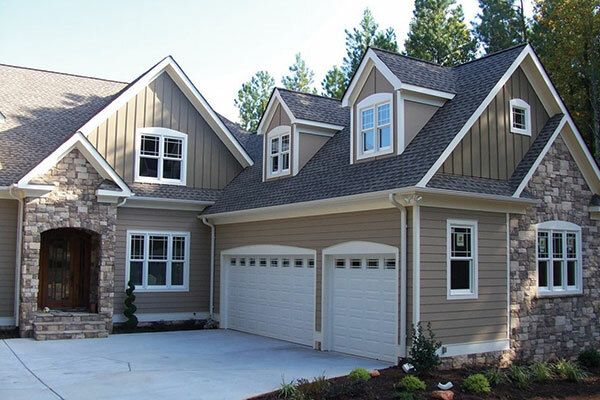 In this home we utilized Liberty Board & Batten siding along the peaks of this home in combination with our Liberty Insulated Clapboard siding in two colors to create a beautiful and dramatic appearance. Scallops to create bold, beautiful lines at gable ends, entry ways and other areas where you want to emphasize vertical details. 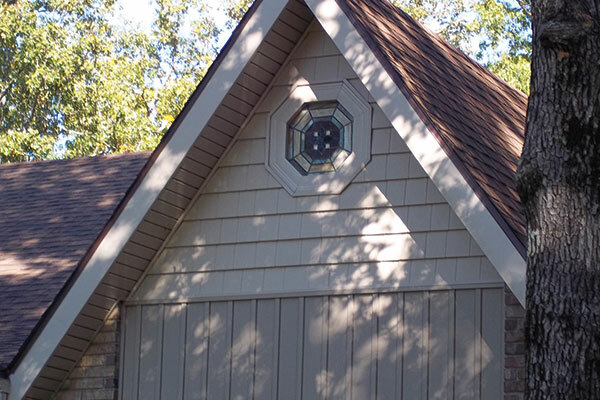 Architectural Scallops create a visually striking contrast with traditional siding, providing an easy way to call attention to areas such as gable and dormer walls. 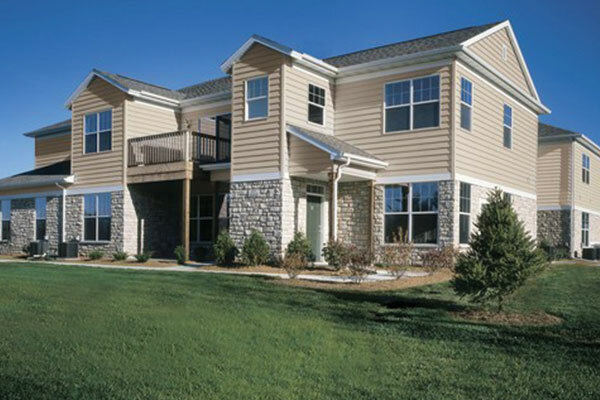 In an elaborate design, Liberty Oak is used both as a vertical siding and an eave finish. Aeration openings, hidden deep in the grooves, allow air flow at the eave. 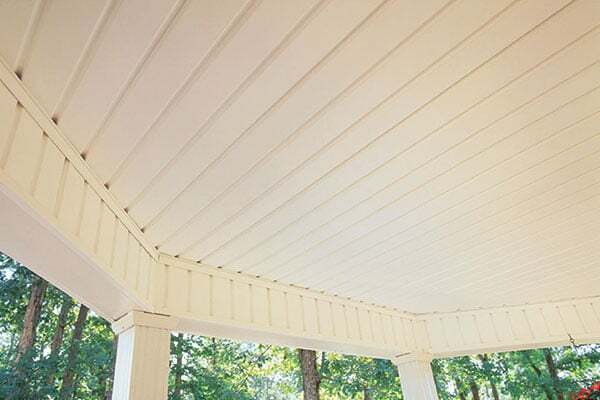 Give porch ceilings classic style and lasting elegance by using a richly detailed panel such as Liberty Beaded premium soffit. 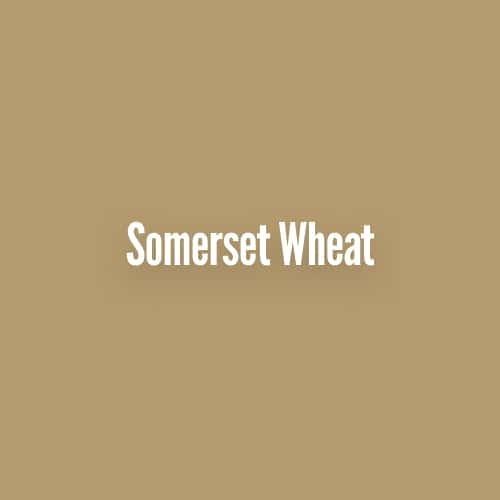 Added Distinction to your Home’s Exterior! Don’t overlook the use of simple lines as a means of adding distinction to an exterior design. Details such as rake boards (which help define the slope of a gable end wall) and band boards (typically used to set off different elevations of a home) are among the most striking design elements you can add. Please scroll over and click the photos below to learn more about Liberty’s trim boards and special accents. that define the roof ’s slope. 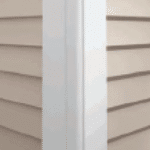 separate the contrasting siding materials. 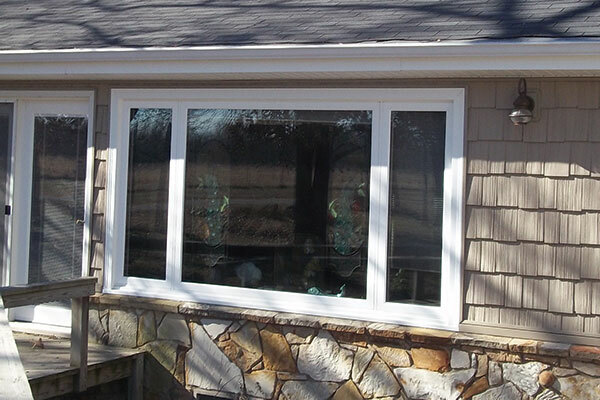 The Mission style window trim reinforces the horizontal emphasis. The 5" Liberty Trimworks lineals used as band boards help define the elevations of this home while accentuating its horizontal lines. The one-piece beaded corner posts emphasize the home’s vertical dimensions. The use of Liberty Shingle creates a unique depth of field and the addition of the gable vent window gives this home a perfect accent touch. home’s exterior. The lines formed by the band boards also help define the home’s elevations.